How Foreign Student Gets Scholarships to Study in Canadian Colleges. Foreign Student Gets Scholarships to Study in Canadian Colleges – It is a true fact that Canada’s education system is one of the best in the world. The school fee of most universities and colleges come with a price tag, but not necessarily you will break the banks. Canada is one of the greatest places to study and work. One captivating thing about a study program in Canada is the job prospects. The country’s universities boast links to more than 5,000 global collaboration agreements; joined with Canada’s focus on industry-specific applied research. International students can obtain a scholarship to help finance their studies in Canada, which are non-repayable financial awards. They tend to be offered to students with outstanding academic achievement, although some also recognize volunteer and work experience. Some scholarships are meant to be applied, but others are awarded automatically. 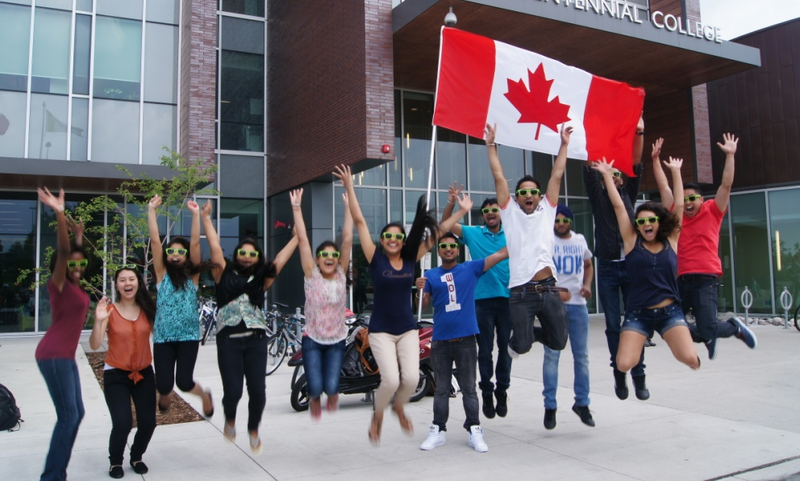 It is important to note that Scholarship funding for international students who wish to study in Canada is limited, highly competitive, and primarily available at the postgraduate level. In compliance with Canada’s Citizenship and Immigration regulations, you must prove you have enough money to meet your financial needs while studying in Canada before beginning your studies. So, if you’re going to pursue a scholarship to help finance your education, start researching opportunities today. Contact the financial aid office of the university you wish to attend to request information about scholarship opportunities for international students and any applica­tion guidelines. Although Canadian universities do not mainly award scholarships to foreign students, there are a growing number of institutions that offer entrance scholarships. ♦ What are the criteria for applying to scholarships? The main criterion for most scholarships is a good academic score; however, it also depends on factors such as your chosen destination, subject, and level. In most scholarships, factors like extracurricular activities, and volunteering can also be used to advantage. ♦ What amount of money is available through scholarships? The amount of money available and type of award differs among different institutions. Acquiring a scholarship is competitive and so, it is important that you apply well ahead in time. We advise you to start with the procedure about 8-12 months before the preferred intake begins. Canadian universities and colleges offer a wide range of scholarships to meritorious international students to help them fund their studies. An exception of this, many scholarships, grants, and bursaries are also offered by the Canadian government, public and private establishments. Before candidates should apply for any of these scholarships, do check the eligibility and criteria, along with the closing date. The Vanier Canada Graduate Scholarships: This scholarship is available to world-class Canadian and international Ph.D. students enrolled at Canadian universities, Vanier CGS offers grants of $50,000 annually for three years. Concordia University Undergraduate Scholarships: This program provides 193 scholarships to international students pursuing undergraduate degrees in a broad range of subjects and disciplines. Canadian Commonwealth Scholarship Programme: Funded by Foreign Affairs and International Trade Canada (DFAIT), this program offers up to $10,000 to international students enrolled at recognized public Canadian institutions as well as affiliated research institutes. University of Calgary Graduate Studies Award: This program offers full and partial scholarships up to $40,000 for international students. It is dedicated to the promotion, and support of research, education and publication in all fields of Canadian Studies around the world, this not-for-profit organization, offers a chain of scholarships and awards in support of Canadian Studies. Managed by the Fonds québécois de la Recherche sur la nature et les technologies, this Quebec government program provides scholarships for doctoral studies, a postdoctoral fellowship, and short-term research or professional development. Canadian universities and colleges located across the country are well-known for their research and innovation. Canada’s higher education institutions are many — varying in size, scope, character, and breadth of programs. Great academic standards and thorough quality controls mean that students may obtain a high-quality education that will benefit their careers over the long term. A Canadian degree, diploma or certificate is mostly recognized as being equivalent to those obtained from the United States or Commonwealth countries. Canada is frequently the preferred choice for students who may also have the option of studying in countries such as the United States or the United Kingdom because of the lower tuition costs. Likened to other countries, Canadian international tuition fees, accommodation, and other living expenses remain competitive. Students in Canada have the benefit of being able to work while studying. Among other benefits, this permits them to manage their finances without incurring enormous debt. Be learning in an academic, vocational or professional training program that leads to a degree, diploma or certificate that is not less than six months in duration. Work full-time during scheduled breaks, such holidays or spring break, winter, and summer. A typical path from student to permanent resident status in Canada is through taking advantage of something Canada provides that is not available, or more difficult to obtain, in other countries — a post-graduate work permit. This work permit may be distributed on completion of the study program for the duration that the program, up to a maximum of three years. Thus, a graduate who has completed a four-year study program could be qualified for a three-year post-graduate work permit, while a graduate who completed a study program twelve months in duration could be qualified for a twelve-month post-graduate work permit. Skilled Canadian work experience obtained through the Post-Graduate Work Permit Program helps graduates to qualify for permanent residence in Canada through the Canadian Experience Class (CEC). Furthermore, certain provinces, such as British Columbia and Quebec, have immigration streams that identify certain graduates for permanent residence. Candidates for British Columbia’s International Post-Graduate category have the benefit of not requiring a job offer and being able to have their application for permanent residence processed through the federal Express Entry immigration selection system. Students who graduate from a certain study program in Quebec may be qualified to apply for a Quebec Selection Certificate (Certificat de sélection du Québec, commonly known as a CSQ) through the Quebec Experience Class. Wishing you good luck as you begin your application process; your comment is important; drop one below.